A roundup of recent products in the GNSS and inertial positioning industry from the August 2018 issue of GPS World magazine. The Dragonfly NB2 is a highly integrated and modular IP (internet protocol) solution optimized for Cat-NB2 (3GPP Release 14 eNB-IoT) that can seamlessly be incorporated into chips and modules by the multitude of companies looking to address the large and fast-growing cellular IoT space. GNSS hardware package. For customers developing NB-IoT products that also require GNSS capabilities, Ceva-Dragonfly NB2 includes a new power-optimized GNSS hardware package, with GNSS RF receiver and multi-constellation digital front-end. The GNSS package speeds up both acquisition and tracking tasks by up to 8 times compared to Ceva-Dragonfly NB1, enabling a host of popular NB-IoT use cases, including people, livestock and asset tracking and geofencing. Oscilloquartz has launched its enhanced primary reference time clock (ePRTC) system to enable a high level of timing accuracy and stability, even when the GNSS signal is lost. The system provides a timing source for mission-critical transport systems, such as utility networks, government infrastructure and radio access networks, and provides the strict synchronization needed for LTE-A and 5G applications. Featuring the OSA 3230B ePRC atomic cesium clock connected to an Oscilloquartz clock combiner and grandmaster, the new solution offers the extremely stable frequency of a cesium clock with the UTC-traceable signal provided by GNSS. 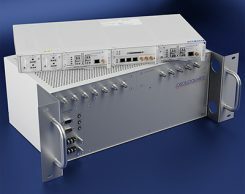 When combined with the OSA 5430, the OSA ePRTC system provides full hardware redundancy and multiple fan-out options including PTP over 10 Gbit/s. 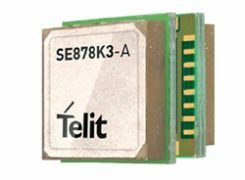 The SE878Kx-A series of GPS and GNSS integrated antenna receiver modules offer high performance, maximum reliability and low power consumption for consumer and business applications. The SE878K3-A and SE878K7-A are compatible with GPS, GLONASS, Beidou and Galileo and also enable device vendors to develop quickly and cost-effectively location-based IoT solutions for use in virtually any country worldwide. The SE878Kx-A series supports dual internal-external antennas to ensure connectivity when one is broken or compromised, along with a SAW filter to maximize jamming immunity. The modules are designed for mission-critical applications and other use cases where reliability is key, such as alarms, stolen cars or high-end asset tracking. The series also provides seamless integration with Telit’s cellular modules, including eCall/ERA-GLONASS compliant solutions. 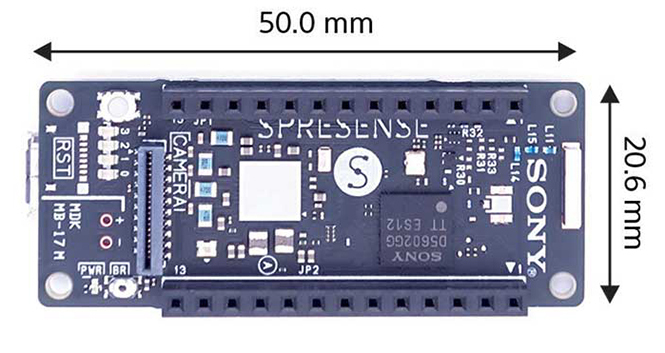 The Spresence main and extension boards are designed for internet of things (IoT) applications. The main board uses a multi-CPU structure equipped with Sony’s GNSS receiver (GPS+GLONASS) and high-resolution audio codec. A variety of systems for applications such as drones and other IoT devices can be built by combining the boards and developing the relevant applications. The boards’ software and hardware is available via open platform, allowing for a wide range of developmental possibilities. 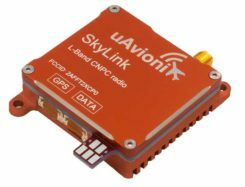 The main board can be used to control a drone using GPS positioning and a high-performance processor, voice-controlled smart speakers and low-power consumption sensing cameras. It also can be combined with sensors for use in systems that detect errors in production lines on the factory floor. 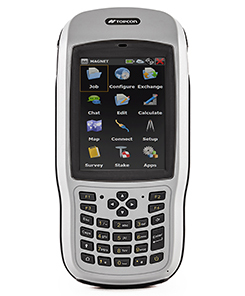 The T-18 handheld controller has a 3.7-inch sunlight-readable display, a 1-GHz processor and 1 GB of internal storage. For field data collection using Topcon’s MAGNET software, the T-18 offers a durable ergonomic solution with fast processing, excellent connectivity and a long (10-hour) battery life. It has a 3.5G cellular modem for connectivity with Topcon MAGNET solutions for sending and receiving data to the cloud company account. The modem also can be used for real-time kinematic (RTK) correction services. 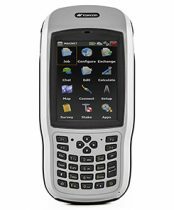 Other features include Bluetooth and an IP65 rating for dust and water protection in demanding job-site conditions. 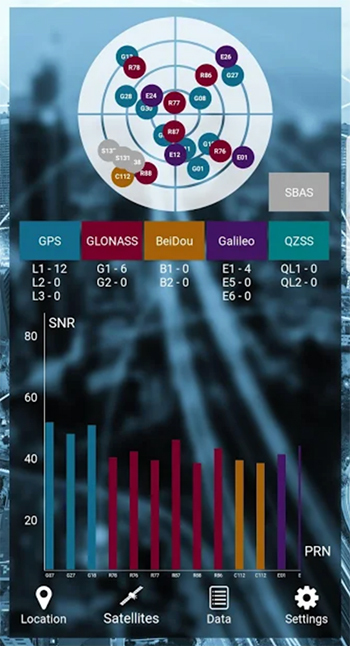 The SXblue ToolBox is an Android application for SXblue GNSS receivers, enabling users to view and analyze the position data and metadata related to its location. The user can send commands that enable or disable some features, including systems in use, mask angle or differential angle, and constellation in use, including GPS, GLONASS, Galileo, BeiDou and SBAS. The SXblue ToolBox is also an NTRIP client capable of connecting to a NTRIP server for real-time kinematic (RTK) corrections, allowing the receiver to issue very accurate location information. 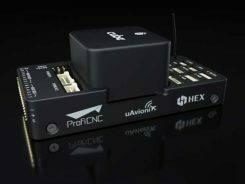 The application can record, save and transfer raw data from the GNSS receiver, allowing post-processing on computers for surveying and geomatics professionals.The toolbox has been developed with special consideration for modern mobile devices and attention to user and dealer feedback. It includes a series of configurable audible and visual alarms for determining the thresholds of the information provided by the SXblue GNSS receiver. 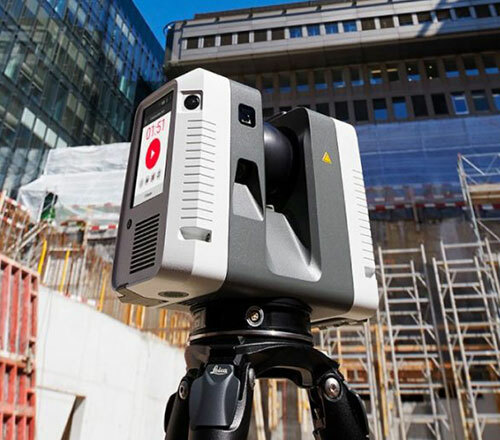 The Leica RTC360 laser scanner is equipped with edge computing technology to enable fast and accurate creation of 3D models in the field. 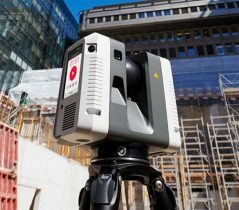 It combines high-performance laser scanning, edge computing and mobile app technologies to preregister captured scans quickly and accurately. With the push of a button, two million points per second of high dynamic range imagery can be captured to create a full-dome scan in under two minutes. It features a visual inertial system that automatically tracks movements between setup positions. The scans captured can be combined and preregistered on a mobile device, where they can be viewed and augmented with information tags. 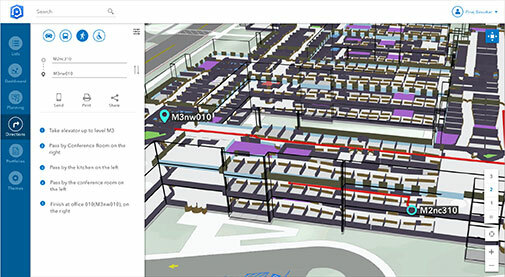 ArcGIS Indoors is designed to enable interactive indoor mapping of corporate facilities, retail and commercial locations, airports, hospitals, event venues, universities and more. The solution applies the latest location technology to allow users to see and share where assets, rooms, departure gates and offices are located. 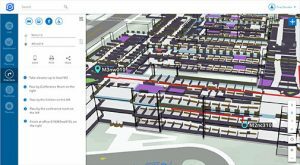 It uses data streams, real-time processing and location intelligence tools to help businesses and other organizations understand how to better coordinate space and other resources with their facilities and campuses. Insights from sensor networks deliver real-time information to managers and executives through interactive dashboards, while visitors and employees can find useful information about the buildings they occupy. The solution also allows users to quickly access and explore critical business information, such as the location and status of fire extinguishers and their last inspection dates. The automotive-grade ASM330LHH six-axis inertial sensor is designed for super-high-resolution motion tracking in advanced vehicle navigation and telematics applications. It lets advanced dead-reckoning algorithms calculate precise position from sensor data if satellite signals are blocked, such as in urban canyons, tunnels, covered roadways, parking garages or dense forests. Its advanced, low-noise, temperature-stable design enables dependable telematics services such as e-tolling, tele-diagnostics and e-Call assistance. Precision inertial data in six axes also meets the needs of advanced automated-driving systems. Automotive component manufacturer Magneti Marelli has selected the ASM330LHH for advanced telematics systems, to be fitted as original equipment by global automotive groups in upcoming vehicle ranges. The free crowdsourced traffic and navigation app Waze is now fully supported by ArcGIS Online, where its live feed of mapped traffic alerts and other information, such as accidents, congestion and street damage, can be used in applications in minutes. Waze Live Alerts, available in ArcGIS Marketplace, is free to members of the Waze Connected Citizens Program. The program, a two-way sharing of publicly available traffic and road condition information, offers governments a stream of data, constantly updated in real time. 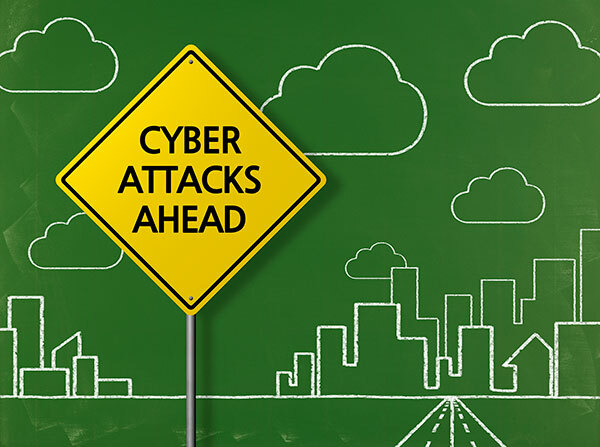 This enables personnel to make data-driven infrastructure decisions and improves the efficiency of incident response. Traffic engineers can use the data to analyze problems on the road and create targeted solutions. Automotive Grade Linux (AGL) is a collaborative cross-industry effort to develop an open platform for the connected car. Mercedes-Benz vans are using AGL as a foundation for a new onboard operating system for its commercial vehicles. The Mercedes-Benz “adVANce” initiative focuses on connectivity and internet of things (IoT) applications, innovative hardware solutions, new on-demand mobility and rental concepts, and fleet management solutions. The AGL platform provides Mercedes-Benz Vans with the flexibility to rapidly create tailored solutions for customers, including adding and connecting any kind of IoT component to the vehicle, such as sensors, automation controls and actuators. The new AGL-based operating system will debut on various Mercedes-Benz Vans prototype projects later this year. 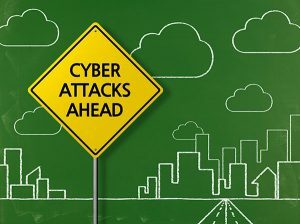 eCyber is an integrated hardware-software product that protects vehicles against ransomware and other cyber-attacks. It can be installed in a vehicle by authorized parties, such as vehicle importers and fleet managers, in the aftermarket stage after the vehicle has left the factory, as well as by the OEM itself during manufacture. eCyber, a combined hardware and software solution in a compact box, is installed between the vehicle’s external communications device and the vehicle’s CAN (Controller Area Network) bus. It provides a secure gateway for outside communications to the CAN bus, allowing only communications with predefined parameters and values to go through. It blocks any unrecognized communications to and from the CAN bus, so no malicious digital communications can disrupt vehicle function. Engineered for UAV-imaging missions, the iXM 100MP is a high-productivity metric camera with a range of high-resolution lenses. It is ready for integration with various UAV platforms, including Phase One’s DJI Matrice 600 Pro. 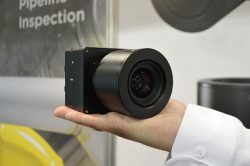 The camera incorporates a medium-format sensor with backside-illumination technology, enabling high light sensitivity and extended dynamic range. Phase One also offers four new RSM lenses — with focal lengths ranging from 35mm to 150mm — to fit the new sensor’s 3.76 μm pixel size and 33 x 44 mm frame size. The lenses are available with either fixed-focus or motorized-focus functionality. The fixed-focus 35mm and 80mm lenses are especially suitable for surveying applications. Commercial drone operators in California and Hawaii — as well as a few areas in Nevada, Utah and Arizona — can get quickly authorized to fly in controlled airspace using the LAANC (Low Altitude Airspace Notification Capability) platform. Skyward is an FAA-approved airspace vendor. With Skyward, pilots with a Part 107 license can get permission to fly in regulated airspace in seconds compared to manual authorizations that can take months. This makes it significantly easier for businesses of all sizes, particularly in the construction and warehousing industries, to manage a fleet of drones to access valuable, cost-saving data. 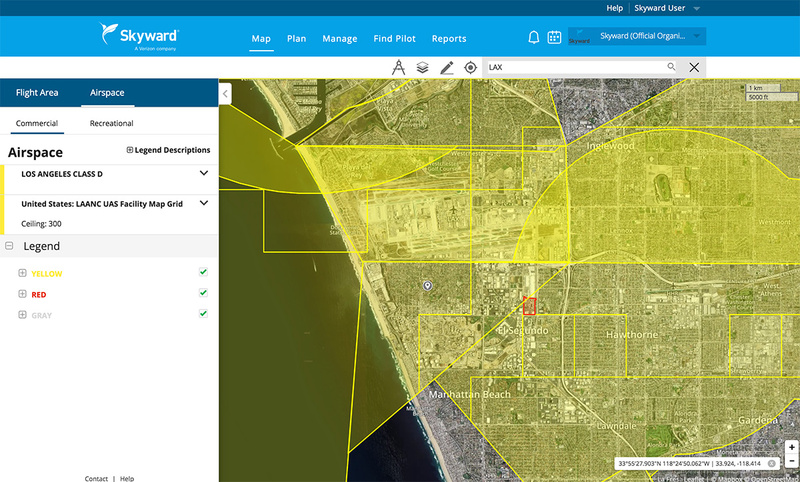 Skyward’s LAANC expansion includes airspace in the busy metro areas of Los Angeles, the Bay Area, San Diego, Las Vegas and more than 50 smaller air markets.